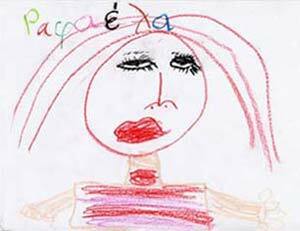 She was "born" in February 2006 by Rafaela, a little girl at a primary school in West Athens. Her "mother" dump her a few minutes after her birth and she was taken home by her current owner who, as a cruel stepfather, at first emprisoned her in a dark drawer for months and then he forced her to be published in ANTILIPSEIS. She hopes to a better future.